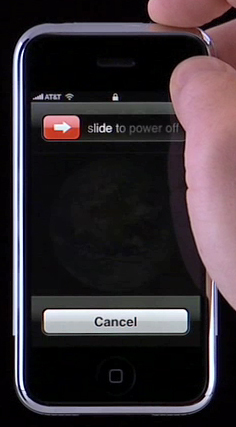 To fully turn off the iPhone, press and hold the button until the screen displays the “Slide to Power Off” message, then slide your finder across the area displaying those words. If you’ve swiped properly then the message will disappear and you’ll see a small white spinning icon in the middle of the screen. Wait about 20 seconds for the screen to go fully black and the iPhone or iPad to turn off. To turn on the device again, press and hold the button for a second or two and then release. If you’ve turned on the device, a white Apple logo will appear in the middle of the screen. 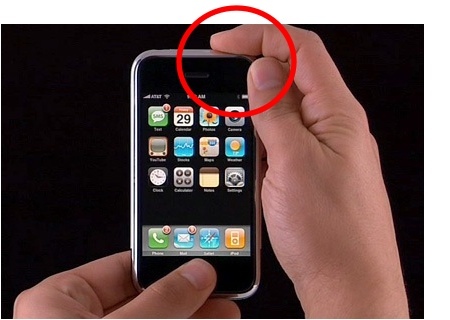 Read more about iPad, iPhone, ipod touch, sleep, troublehshoot, turn off, turn on, wake.